As Spring is on its way now and the weather turns milder, green fingered people like me start to get excited as the prospect of choosing their seeds for the year arrives! Now as you may already know I like to be thrifty and for things to be good value for money. 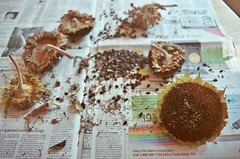 Seeds are no exception and luckily nature gives us a little helping hand with being thrifty on the flower front. Many flowers that we can grow from seed can easily be grown time and time again without any additional cost; we can harvest the initial flowers seeds ourselves instead of having to buy more! So if you are looking to buy seeds that produce beautiful flowers and that will save you money, look no further. I have compiled my top 5 Good Value Flower Seeds which are not only pretty to look at, easy to grow but also produce seeds that are easily harvested. These are very easy to grow and great for kids too; measuring their height, tallest sunflower competitions, getting them involved in gardening! These are one of the most obvious and easiest flowers to harvest seeds from (as long as you get there before the birds do)! 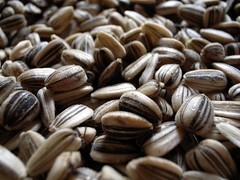 Sunflower Guide has really clear information on the method of harvesting and drying the seeds for reuse. 2. 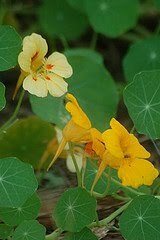 The Nasturtium (genera Tropaeolum). 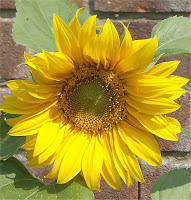 Like the sunflower this flower is also easy to grow and has easily identifiable seeds. Harvest the seeds when they turn brown (although some experts say you can also pick them when they're green) and place them on a paper towel or plate on the window sill for a few days to dry out before storing. 3. 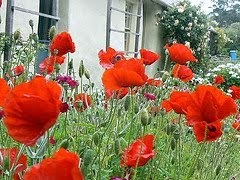 The Poppy (genera Papaveraceae). 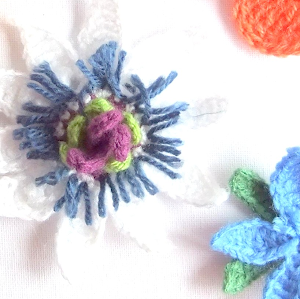 These flowers keep their seeds safe and contained within a seed pod which you can harvest as the flower is beginning to wither. 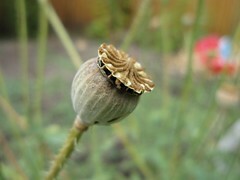 A bit of drying off and excavation and you will have loads and loads of poppy seeds for next year. 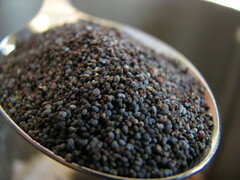 Garden Guides gives you a step by step guide to harvesting poppy seeds. 4. 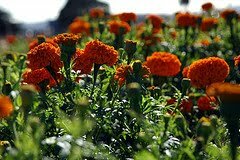 The Marigold ( Tagetes). 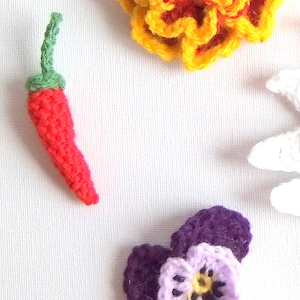 These are generally small compact flowers with a range of golden blooms. 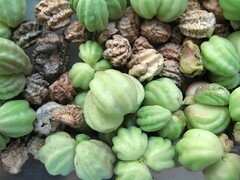 Their seeds are like arrows in shape and you get a lot from one seed shell. 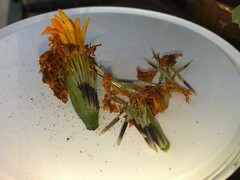 For information on how to harvest marigold seeds click here. 5. The Snap Dragon (Antirrhinum). 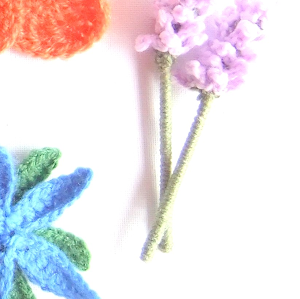 These are tall colourful flowers that are excellent for attracting bees and butterflies. 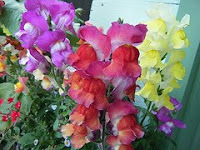 They are also fun for children because if they pick a petal from a snap dragon they can see the "dragon" mouth snap shut! For harvesting information click here. Sunflower photos by Marianjane, cafemama and yoppy. Nasturtium photos by Jasmine& Roses and jhritz. Poppy photos by Laineys Repertoire, CEThompson and caribooooou.